A key tenet of India’s nuclear doctrine, the commitment not to use nuclear weapons first in a conflict, is being called into question based on comments from former senior Indian officials. It is unlikely that India is formally abandoning its no-first-use policy, but indications that New Delhi may be relaxing this commitment could have damaging implications for stability in the region. Shortly after first testing nuclear weapons in 1998, the Indian government said that the country “will not be the first to initiate a nuclear strike, but will respond with punitive retaliation should deterrence fail.” This commitment was included in India’s nuclear doctrine in 2003. Under current doctrine, India reserves the option to use nuclear weapons under limited circumstances: if it is attacked with biological or chemical weapons or if a weapon of mass destruction is used against Indian forces outside Indian territory. Comments from former Indian officials, including former Strategic Forces Commander Lt. Gen. B.S. Nagal, former Defense Minister Manohar Parrikar, and retired National Security Adviser Shivshankar Menon, have led some experts to conclude that India would consider nuclear first use in a third circumstance, as a pre-emptive counterforce attack if India has reason to believe that Pakistan is preparing a first strike against it. India’s doctrine may have the flexibility to allow for pre-emptive counterforce strikes designed to neutralize Pakistan’s nuclear arsenal before Islamabad could retaliate, some experts think based on remarks from Menon and Nagal. Vipin Narang, a professor at the Massachusetts Institute of Technology, ignited the debate at the Carnegie Endowment’s International Nuclear Policy Conference in Washington on March 20 when he stated that India, not Pakistan, may be the first to launch nuclear weapons in the event of a South Asian conflict. He highlighted elements of Menon’s 2016 book, Choices: Inside the Making of India’s Foreign Policy, which identified the rationale for India shifting away from countervalue targeting, such as cities, to counterforce targeting, such as military assets, based in part on Pakistan’s development of tactical nuclear weapons. Narang argued that India’s no-first-use policy has “far greater flexibility” than generally recognized and that India could strike first if it considers a Pakistani strike to be imminent. This assessment is supported by several well-known South Asian defense analysts, including Ajai Shukla, a journalist and retired Indian army colonel. Shukla wrote in an April 10 article in The Business Standard, an Indian newspaper, that the traditional South Asian nuclear exchange scenario, in which India responds to a Pakistani first strike with a countervalue second strike targeting Pakistani cities is not realistic. If India had reason to believe that Pakistan was preparing to launch a first strike, an Indian pre-emptive counterforce strike, targeting the Pakistani nuclear arsenal, would be more strategic, he wrote. Others contend that India is not technically prepared for this shift in doctrine and that there is little evidence to prove it is taking place. Rajesh Rajagopalan, professor at Jawaharlal Nehru University in New Delhi, told Arms Control Today in an April 18 email that he does “not see any indication of any official shift to change Indian doctrine beyond” the hints offered by former officials. If India were to move toward a counterforce strategy, a “clear indicator of the shift” would be “expressions of concern about the imbalance of nuclear forces with Pakistan” and steps to increase the size of India’s nuclear arsenal, because New Delhi would require “significant superiority in Indian nuclear forces over Pakistan,” Rajagopalan said. In addition to a larger nuclear arsenal, India would need to develop more accurate missiles and effective tracking of Pakistani systems to technologically carry out a pre-emptive counterforce strike. “India does not have the surveillance capacities needed to monitor Pakistan’s nuclear forces after they are dispersed, as they presumably would be in a crisis,” Rajagopalan said. This puts a pre-emptive counterforce attack in a crisis “clearly beyond India’s capacities,” he said. Although it is unclear if India’s nuclear doctrine is shifting, debate over the flexibility of India’s no-first-use pledge could provoke changes in Pakistan and China that further destabilize the region. Pakistan has retained a more ambiguous policy on first use of nuclear weapons against nuclear-armed states and has indicated that the circumstances surrounding its no-first-use policy must remain deliberately imprecise, as demarcating so-called red lines could allow provocations by the Indian military just below any threshold for use. In July 2016, Pakistani Defense Minister Khawaja Asif suggested Islamabad would use nuclear weapons for defensive purposes in armed conflict with India. Pakistan’s development of a short-range, tactical nuclear missile, the Nasr, supports the strategy of using nuclear weapons against superior conventional forces. If Pakistan were concerned that India might conduct a counterforce first strike, that could provoke Islamabad to use nuclear weapons first in an escalating conflict, rather than risk losing the option for use. Rajogopalan said any change in India’s doctrine may have a limited impact on Pakistan because Islamabad believes that India already has a first use doctrine. But Pakistan “may move toward a nuclear force that is in a constant state of readiness, instead of keeping its nuclear forces disassembled,” he said. 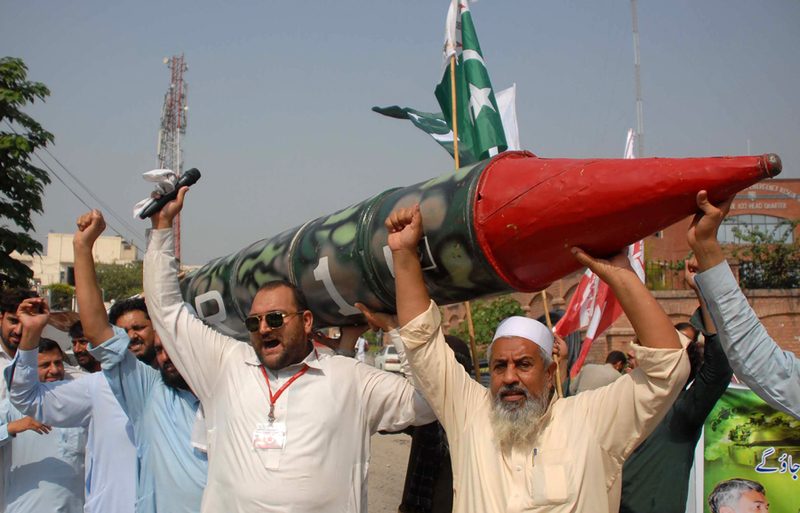 Pakistan, like India, is thought to store warheads separately from delivery vehicles. Moving to higher-alert status and mating warheads with delivery systems allows for quicker use, but increases the risk of inadvertent launch. 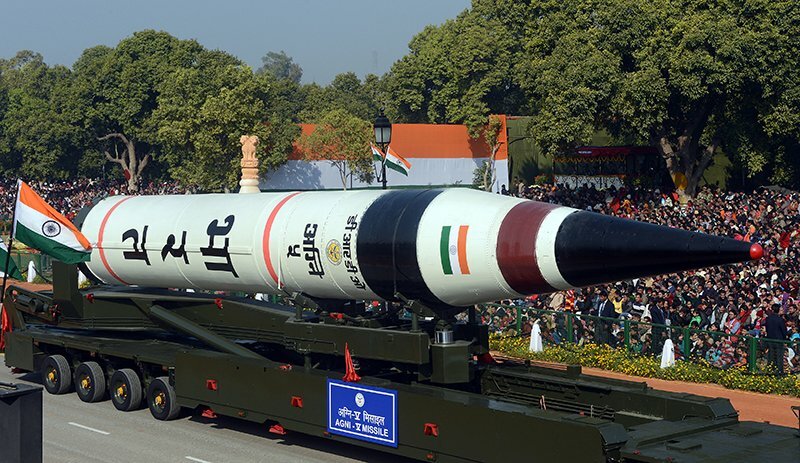 A more assertive Indian doctrine and the growing nuclear and missile capabilities in New Delhi could prompt Beijing to consider changes in its practices, particularly if the United States is seen as strengthening India as a regional counterbalance to China. Read more about Is India Shifting Nuclear Doctrine? India conducted a successful fourth flight test of its Agni-5 ballistic missile, a nuclear-capable system likely to reach intercontinental-ballistic-missile classification. India conducted a successful fourth flight test of its Agni-5 ballistic missile, a nuclear-capable system likely able to reach the range for classification as an intercontinental ballistic missile (ICBM). The Agni-5 is a road-mobile, three-stage, solid-fueled ballistic missile believed to be capable of carrying a 1,500 kilogram warhead an estimated 5,000-5,800 kilometers. The threshold for ICBM classification is 5,500 kilometers. The Indian Defence Research and Development Organization, which developed the Agni-5, will not give an exact range for the system, but has said publicly that it is more than 5,000 kilometers. That distance would put within range all of China, a nuclear-armed neighbor that New Delhi views as a threat. The two fought a brief border war in 1962 and have continuing territorial disputes. Hua Chunying, spokesperson for the Chinese Foreign Ministry, at a Dec. 27 press conference cited nonbinding UN Security Resolution 1172, which in 1998 called on India and Pakistan to “cease development of ballistic missiles capable of delivering nuclear weapons.” Beijing maintains that “preserving the strategic balance and stability in South Asia is conducive to peace and prosperity of regional countries,” Hua said. The Indian Ministry of External Affairs rebutted the implication that India was not complying with the UN resolution and said India “abides by all” applicable international obligations. 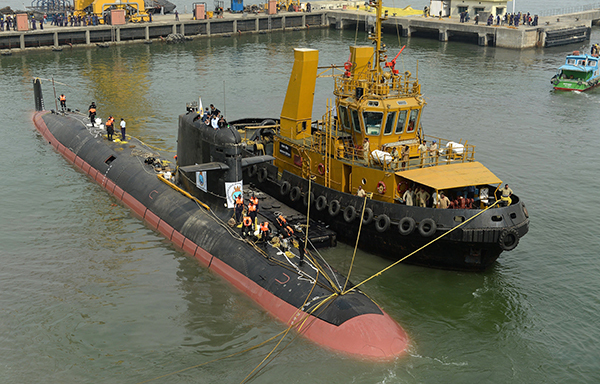 India has quietly put into active service its first ballistic missile submarine in August, according to news reports. 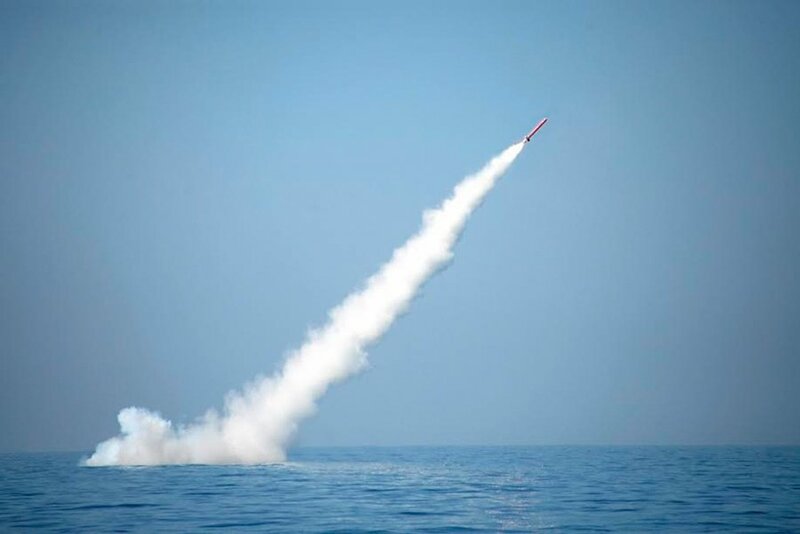 Indian Prime Minister Narendra Modi has approved the deployment of supersonic cruise missiles along the country’s northeastern border with China, a move that Beijing’s army denounced as destabilizing the region and increasing the likelihood of confrontation. Modi chairs the Cabinet Committee on Security that in early August cleared the deployment, which includes about 100 Brahmos cruise missiles, five mobile launchers, and a command post. The missiles will be located in the region of Arunachal Pradesh, the border of which is disputed by China. 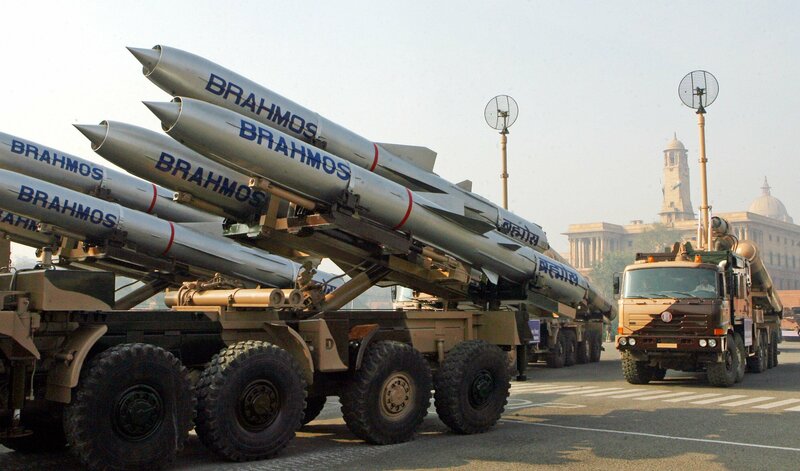 The Brahmos cruise missile, jointly developed by India and Russia, is estimated to carry a 300-kilogram warhead over a range of 290 kilometers. The missiles, which have a reported maximum speed approaching Mach 3, are likely to be armed with conventional warheads, although they could be paired with a miniaturized nuclear warhead.